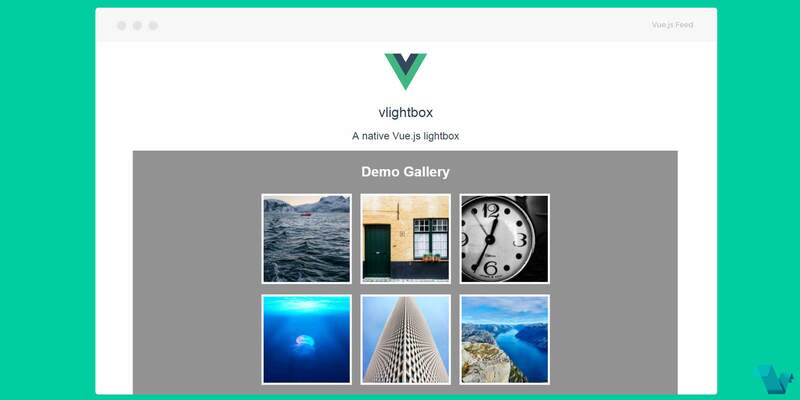 Add a simple gallery for showcasing your favorite photos, with the native lightbox component for Vue.js. Just install the component and pass your array of images and you 'll have a gallery ready for display. Accepts array containing image objects, properties accepted are caption and src. Remove all styles to the image gallery, overlay not included :resetstyles="false"
Add h1 with title above gallery title="Demo Gallery"
Loop back to the first image when at the end of the gallery :loop="true"
Show next, back and close buttons on overlay :nav="true"
Show captions on images with the caption property :caption="true"
If you would like to use and contribute to vlightbox, find the repo on GitHub.